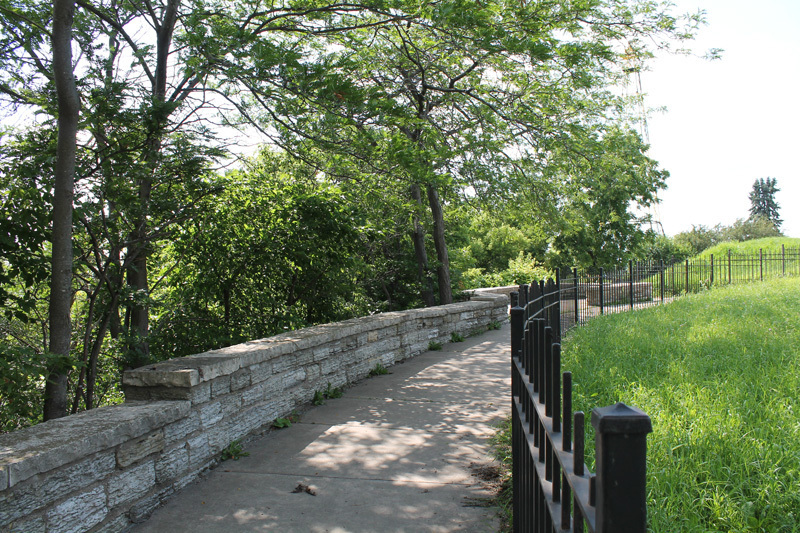 One of the remaining walls runs from the scenic overlook and heads west along the bluff line behind the Indian Mounds. 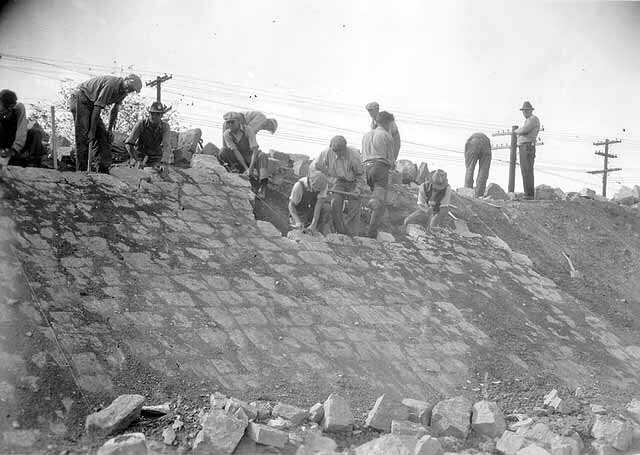 The second of the WPA work is a more dramatic curved limestone wall that follows the turn of Mounds Boulevard as it leaves the playground area. The Works Progress Administration (WPA) was a federal jobs initiative that employed people during the Great Depression of the 1930’s. 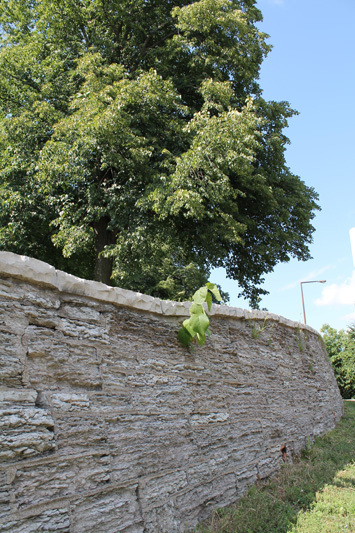 They created local projects including public buildings, roads, sidewalks and these walls. 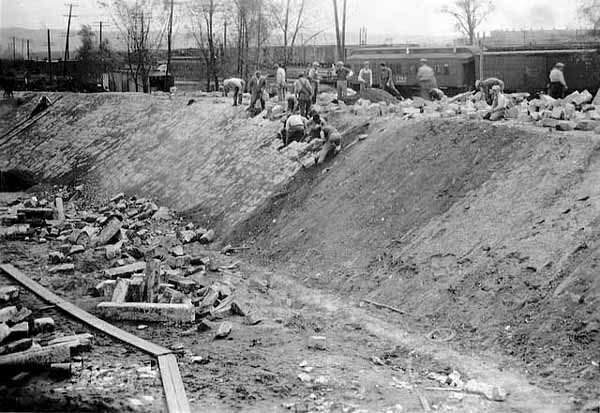 The WPA was a centerpiece of Franklin Roosevelt’s economic stimulation programs and was aimed at smaller-scale projects that could be quickly undertaken and completed. 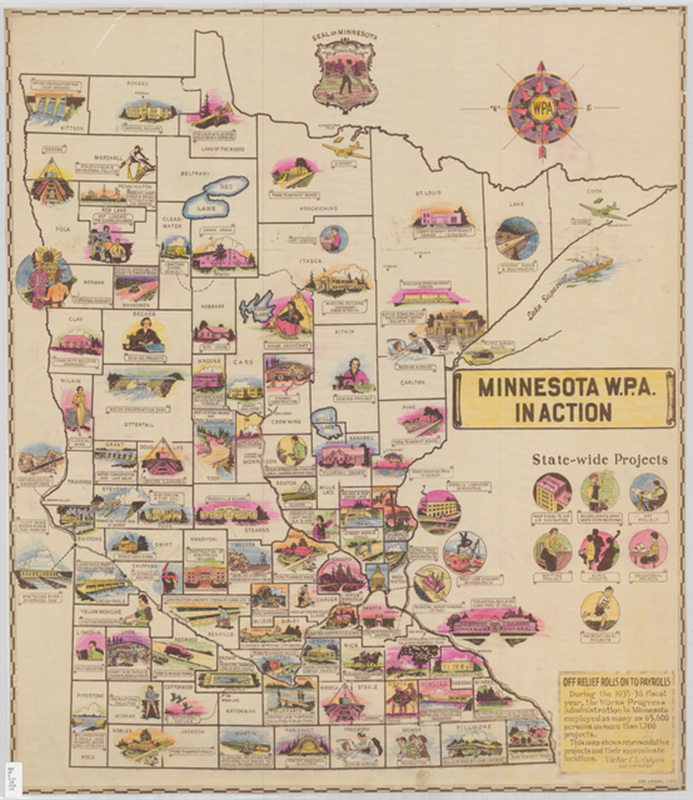 WPA dollars began to reach Minnesota in late 1935. At its height in 1938, 68,000 Minnesotans were enrolled. The program lasted for eight years, ending in 1943. 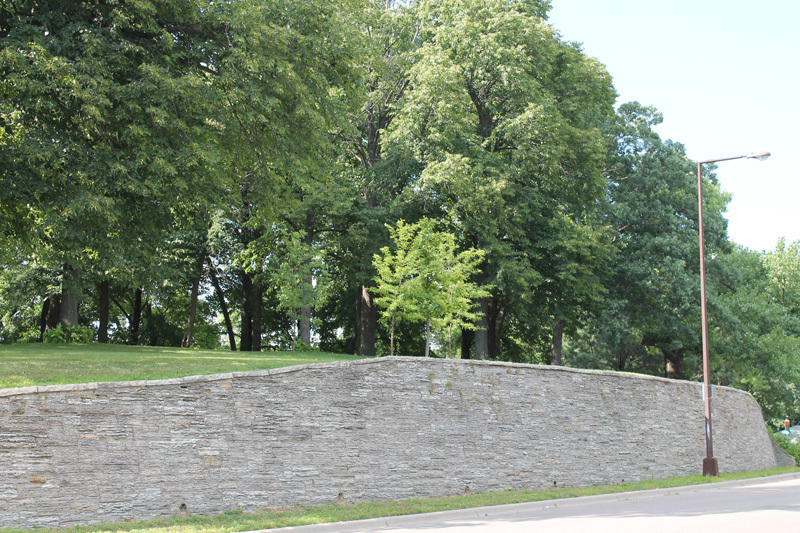 Steve Trimble, “WPA Limestone Walls,” Saint Paul Historical, accessed April 21, 2019, https://saintpaulhistorical.com/items/show/186.